A podcast about life with an SAP Business One Consultant. ERP stuff, funny ideas and general stuff. Watch on YouTube: https://youtu.be/8MynltVwWDI All information at http://battleshipcobra.com/ "You can buy a man's time, you can buy a man's physical presence at a given place; you can even buy a measured number of skilled muscular motions per hour per day. But you cannot buy enthusiasm; you cannot buy initiative; you cannot buy loyalty of hearts, minds and soul. You have to earn these things." ~ Clarence Francis Topics: - Quality of communication is the quality of your life - Simple tips to break out of the dev stereotype - CCC - Confident, clear and concise answers - Listen first, talk later - What is CRM, "finding CRM" My SQL for SAP Business One course: http://sql.battleshipcobra.com/ My Crystal Reports for SAP Business One course: http://crystal.battleshipcobra.com/ My YouTube channel: http://youtube.battleshipcobra.com/ Thanks for listening! Watch on YouTube: https://youtu.be/ZpQcXBN8PBQ All information at http://battleshipcobra.com/ "I have never seen a better antidote to anxiety than intelligently directed activity. Let planning and activity be your sword and shield whenever fear and anxiety threaten to overwhelm your ability to perform. When you are alone with your fears, they will be your guardians." ~ John Danaher Topics: - Quotes - Encouragement - you can do it - Being a stronger person - Multiple legs work, kids, hobbies, friends - - - Being resilient - Have fun and be honest. Technology is fun! Build things - the power of a positive attitude My SQL for SAP Business One course: http://sql.battleshipcobra.com/ My Crystal Reports for SAP Business One course: http://crystal.battleshipcobra.com/ My YouTube channel: http://youtube.battleshipcobra.com/ Thanks for listening! Watch on YouTube: https://youtu.be/SmJNlSQEwU0 My B1UP Demo: https://youtu.be/ma4YE9BdkcU All information at http://battleshipcobra.com/ Topics: - Everything looks like a mess in the middle - How to say "no" while providing an honest opinion as a consultant - they want to know your opinion - Business intelligence, what it is and what it isn't - Nobody really knows anything My SQL for SAP Business One course: http://sql.battleshipcobra.com/ My Crystal Reports for SAP Business One course: http://crystal.battleshipcobra.com/ My YouTube channel: http://youtube.battleshipcobra.com/ Thanks for listening! Watch on YouTube: https://youtu.be/ooIJEz9FyjM My first official podcast! 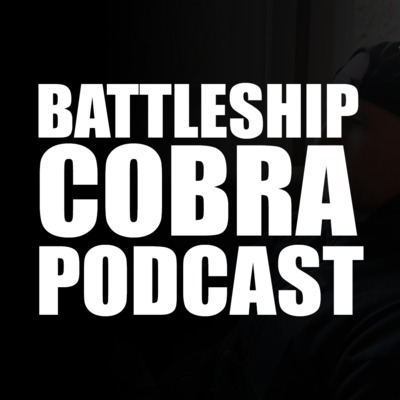 All information at http://battleshipcobra.com Topics: - How to get better at listening to yourself - Making videos and doing podcasts, it's the real you - Dummy proofing - Discipline vs. Motivation My SQL for SAP Business One course: http://sql.battleshipcobra.com My Crystal Reports for SAP Business One course: http://crystal.battleshipcobra.com My YouTube channel: http://youtube.battleshipcobra.com Thanks for listening!